United manager Ole Gunnar Solskjaer may turn to Sanchez after United after his side failed to muster a shot on target in the 1-0 defeat at Old Trafford in last week's first leg. 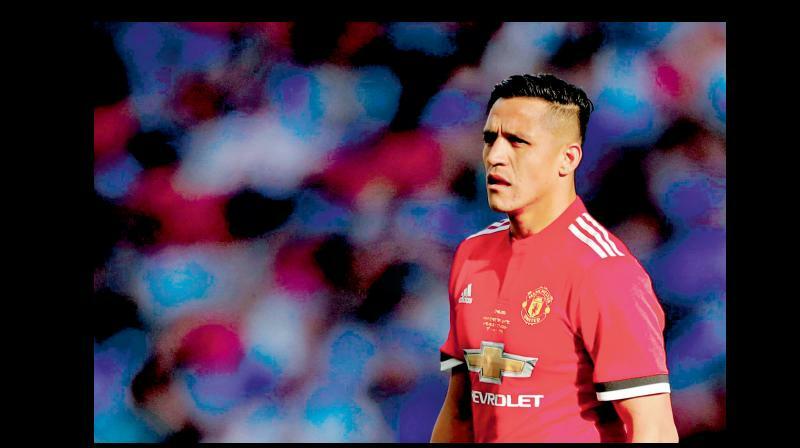 London: Alexis Sanchez could be in line for a surprise call-up for Manchester United's Champions League quarter-final second leg with Barcelona after travelling with the club to Spain. The 30-year-old Chilean forward, who scored 47 goals in 141 appearances for Barcelona from 2011-14, has been absent for six weeks due to a knee injury. However, United manager Ole Gunnar Solskjaer may turn to him after his side failed to muster a shot on target in the 1-0 defeat at Old Trafford in last week's first leg.